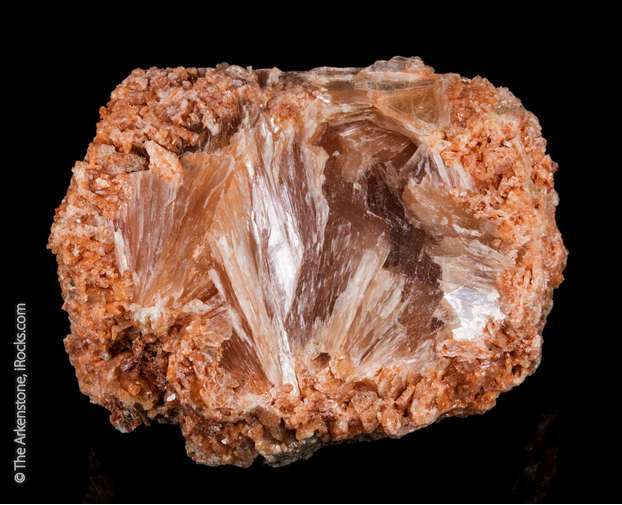 Volkovskite: Mineral information, data and localities. Named after A.I. Volkovskaya, Russian petrographer. 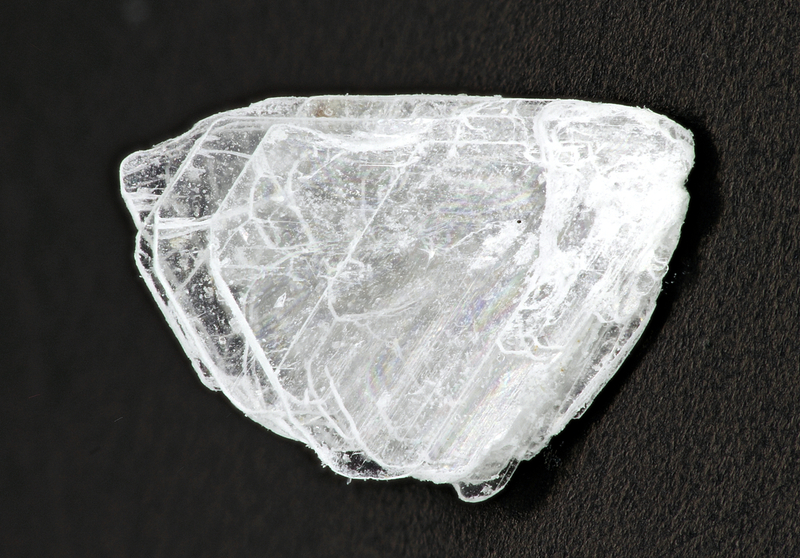 Volkovskite was first described from Kazakhstan [TL1] by Kondrat’eva et al. (1966), and redefined by Mandarino et al. (1990) from the Salt Spring deposit [TL2]. The redefinition established the triclinic symmetry and presence of K and Cl as essential constituents in the mineral. The crystals possess perfect cleavages occurring as thinly layered pseudohexagonal/triangular, elongated platy masses. Hilgardite 9 photos of Volkovskite associated with Hilgardite on mindat.org. 6.EC.05 Nasinite Na2[B5O8(OH)] · 2H2O Orth. 10.1.3 Berborite Be2(BO3)(OH,F) · H2O Trig. 10.1.7 Shabynite Mg5(BO3)(OH)5(Cl,OH)2 · 4H2O Mon. 10.1.12 Hydrochlorborite Ca4B8O15Cl2 · 21H2O Mon. 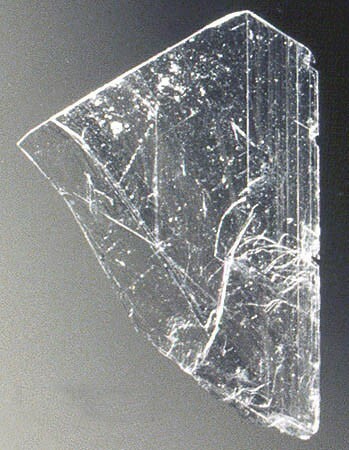 10.1.13 Ekaterinite Ca2(B4O7)(Cl,OH)2 · 2H2O Hex. 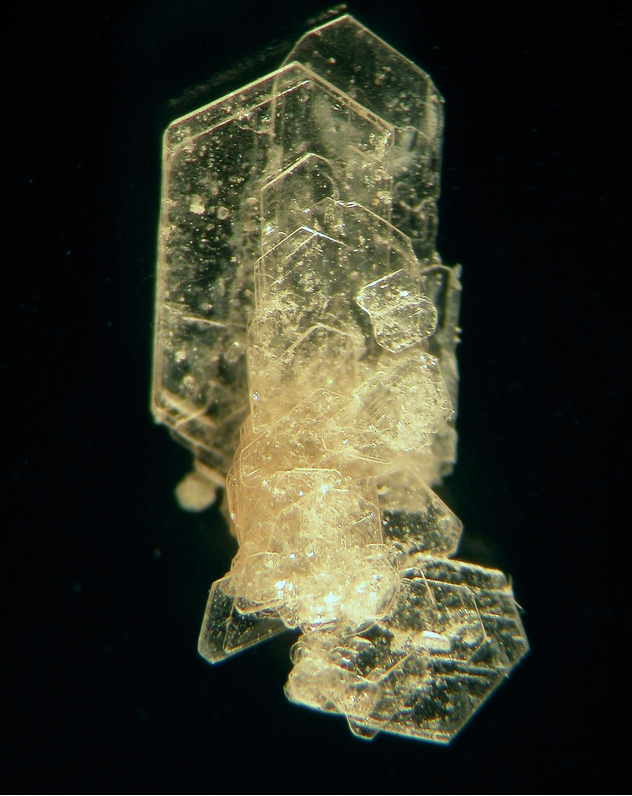 10.1.15 Chelkarite CaMgB2O4(Cl,OH)2 · 5H2O Or near, with Cl:OH = 3:1 Orth. Kondrat’eva, V.V., Ostrovskaya, I.V. & YarzhemskiiI, YA. (1966): Volkovskite, a new hydrous calcium borate. Zapiski Vsesoyuznogo Mineralogicheskogo Obshchestva 95, 45-50 (in Russian). Mandarino, J.A., Rachlin, A.L., Dunn, P.J., Le Page, Y., Back, M.E., Murowchick, B.L., Ramik, R.A. & Falls, R.B. (1990): Redefinition of volkovskite and its description from Sussex, New Brunswick. Canadian Mineralogist. 28, 351-356. Rastsvetaeva, R.K., Andrianov, V.I., Gernkina, E.A., Sokolova, T.N. & Kasbaev, A.A. (1992): Crystal structure of volkovskite. Kristallografiya 37, 326-333 (in Russ.). Grice et al. (1999): Canadian Mineralogist 37, 731-762. Poulin, R. S. and Grice, J. D. (2013): Volkovskite, a complex borate mineral: Refined crystallographic data and optics. Can. Mineral. 51, 157-169. The following Volkovskite specimens are currently listed for sale on minfind.com. Canadian Mineralogist (2002): 40(6): 1675-1686. MANDARINO, J.A., RACHLIN, A.L., DUNN, P.J., LE PAGE, Y., BACK, M.E., MUROWCHICK, B.L., RAMIK, R.A. & FALLS, R.B. (1990): Redefinition of volkovskite and its description from Sussex, New Brunswick. Canadian Mineralogist 28, 351-356. Grice, J.D., Gault, R.A., Van Velthuizen, J. (2005) Borate minerals of the Penobsquis and Millstream deposits, southern New Brunswick, Canada. The Canadian Mineralogist: 43: 1469-1487. Pekov, I. (1998) Minerals First discovered on the territory of the former Soviet Union 369p. Ocean Pictures, Moscow; Evseev, A. A. (1995) Kazaknstan and Middle Asia. A brief Mineralogical Guide. World of Stone 8:24-30; Pekov, I. V. & Abramov, D. V. (1993): Boron deposit of the Inder and its minerals. World of Stones, 1, 23-30.